The tech firm that owns the rights to the word 'iphone' in Brazil has launched an Android phone under the illustrious moniker. 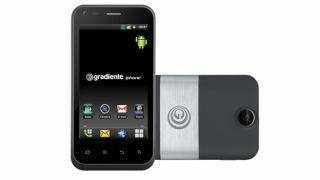 The Gradiente iphone Neo One is a low-powered device running Android 2.3 Gingerbread and only features a single core 700MHz processor and a low-res 320 x 480, 3.7-inch display. There's a 5-megapixel camera and a 0.3-megapixel front-facing offering, along with 3G connectivity, 2GB of storage and dual-SIM capabilities. Although, specs wise, the handset is virtually incomparable with the all-conquering iPhone, it's unlikely that Apple will be taking this 'iphone' launch lightly. The brazen Brazilians won exclusive rights to the word 'IPHONE' in 2008, just one year after Apple launched the original iPhone handset in 2007, but this is the first time have used the name. Even though Apple does not own the word in Brazil, it is likely to go after the iphone Neo One all guns blazing as it is, unquestionably, a competing product. For now, the device is on sale in the country for 599 Brazilian real, which works out at about £176 (USD$286, AUD$272).